For a little girl, there are few greater, more exciting, opportunities than being someone’s flower girl. Walking down the aisle and helping to make the bride look like a fairytale princess is a real honor, but for some the occasion can all get a bit too much. For others, however, it’s an opportunity to flaunt their natural showmanship. 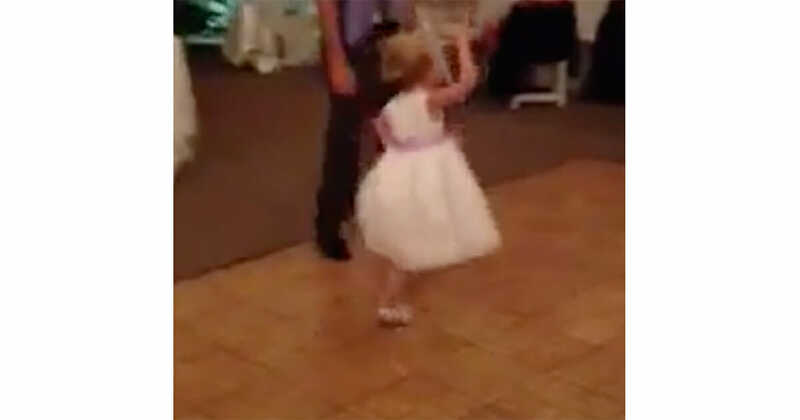 Which is exactly how it was when one sweet little flower girl decided to let loose on the dance floor at a wedding reception. A case of pent-up energy, perhaps? A planned performance for those gathered in attendance? We’re not sure … but it’s definitely worth a watch. The first song to begin playing from the speakers was “Baby” by Justin Bieber. 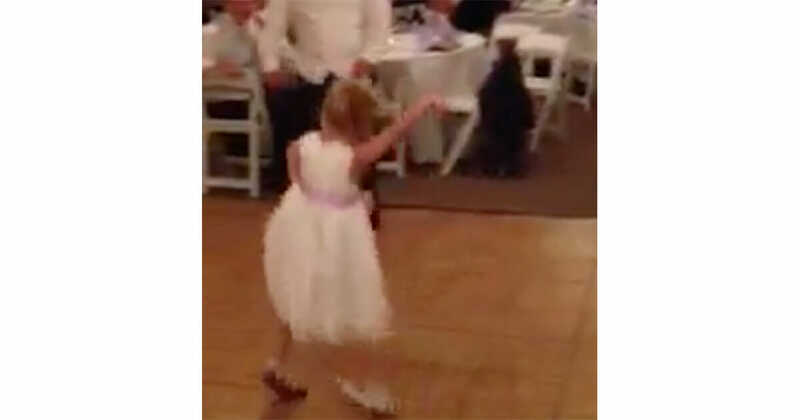 The little girl in question wasted no time at all in taking to the dance floor, even moving away from an adult who tried to join her party. Right from the off, it’s clear she’s an entertainer born. The guests crack up as she wiggles her way about the dance floor, shuffling so as to avoid the man who wants to dance with her. 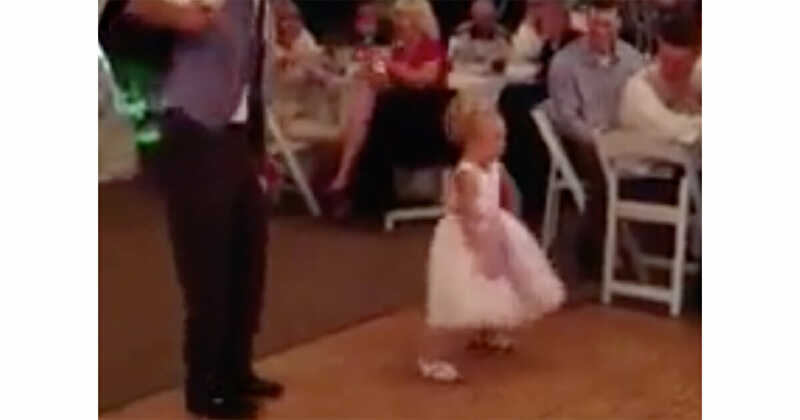 In the end, he let her carry on by herself, and boy did things take a turn for the hilarious. With an eye on letting the keen youngster have her moment, the DJ soon switched the song from “Baby” to PSY’s viral hit “Gangnam Style”. Well, this girl needed no telling twice. She instantly jumped into a boogie so vigorous that her pink satin bow fell off. Did she let it bother her? Not a chance. What’s more, her entire performance was captured on camera, meaning there’s plenty of evidence to be kept for her 18th birthday. We know, right? The dancing queen! If this video put a smile on your face, share the article to spread some happiness today.